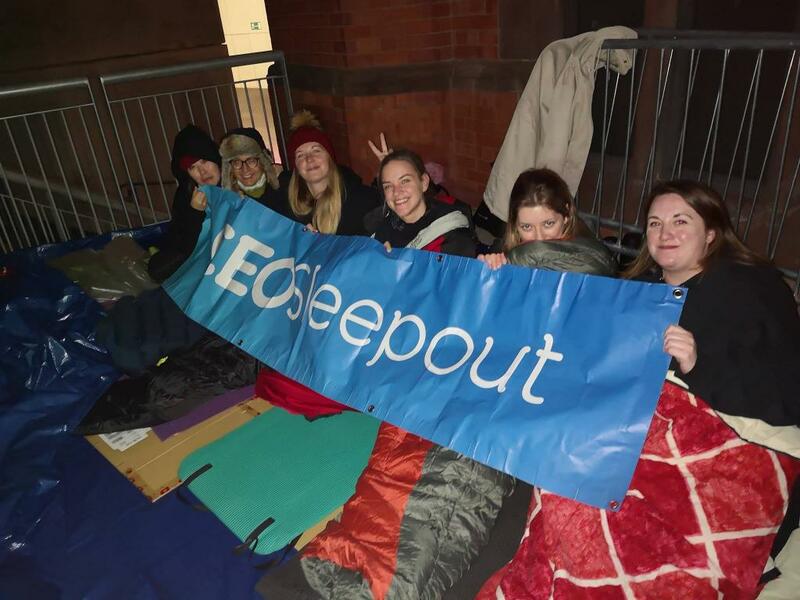 Students from Teesside University will be the first in the UK to take part in a mass sleepout to raise money for a homeless Charity. The call has gone out for students to get involved in ‘The Big Student Sleepout’ next month. The event is being supported by the CEOSleepout, a charity which has the aim of fighting homelessness and poverty in the UK. There are 60 places available for the event which is taking place on the Friday December 7 at 8pm at the Astro Turf on the university campus. Teesside University is getting involved with CEOSleepout due to the many social challenges facing people in the North East. Middlesbrough is the third most deprived local authority in the UK with child poverty at an all time high of 61% in the Thorntree area of the town alone. Homelessness across the North East is also rising, there were 51 rough sleepers in the region in 2017, up from 45 in 2016. Will you sign up for ‘The Big Student Sleepout’? Image courtesy of CEOSleepout UK. These statistics are eye opening but you can help change this by signing up today. To sign up and get involved, click on this link: Volun-tees. A small fee of £10 is compulsory, to secure a place for the night; there is an aspirational target of £200 per person. The University is hoping to raise £10,000, with all students involved getting sponsorship to take part in the event. All the money raised during the sleepout will be distributed to CEOSleepout, local charities and causes in the Tees Valley area.